The shape looks terrible. Those prototype wheels are horrific. German car fans say the Land Cruiser is ugly, but with Mercedes and BMW grill they'll praise it. funny this seems to have a much busier profile while the rest of the lineup is finally getting rid of all the swoops and excess lines. the new interior can't come soon enough. It does look off, but hard to tell how bad under all that camo. Mercedes need a new design direction and fast. 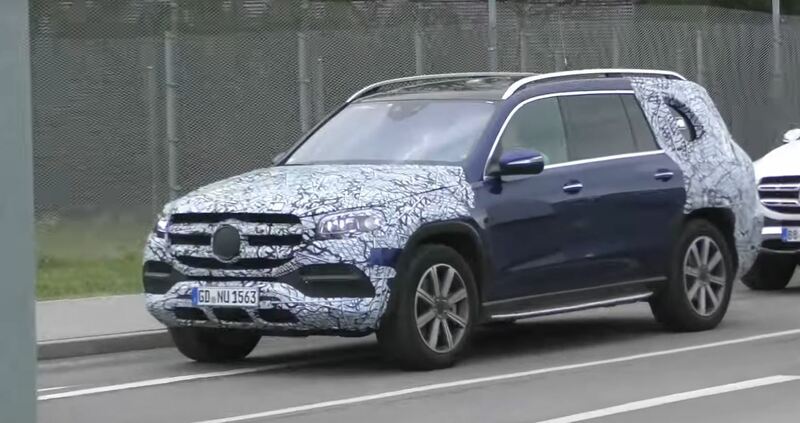 Should be debuting at the NY show in the next 2 weeks, here it is testing with more camo off, looks like a giant GLE. The rear door looks ENORMOUS in those pics, even more than I realized, particularly compared to the current gen...although it might be an illusion since the surfacing on the current gen is more intense.